Spring will be in full bloom before you know it, so now is the time to start planning your home’s perfect landscape or outdoor living space. 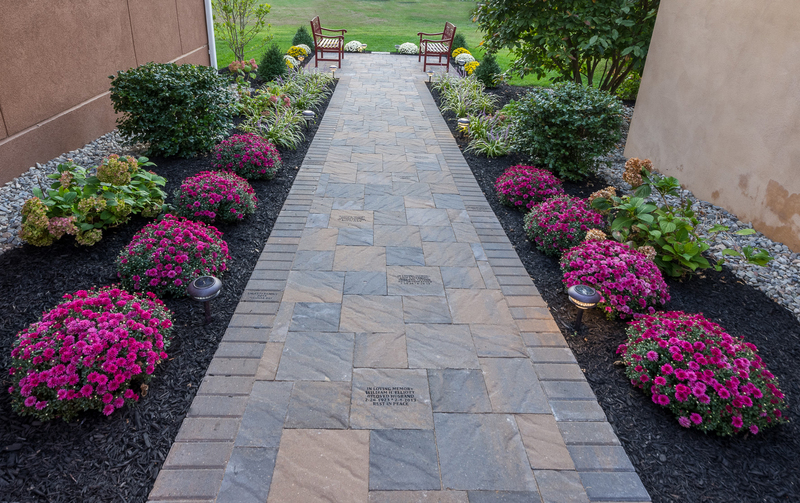 For more than 20 years, the experts at DiSabatino Landscapinghave been helping clients in Wilmington and Hockessin, DE, as well as, West Chester, Kennett Square and Malvern, PA transform their landscapes. Their experienced team of creative designers will work with your vision and lifestyle to make your home the envy of the neighborhood. The Specifics: Although it is very easy to fantasize about the landscape, fire pit or patio of your dreams, there are a lot of other aspects that need to be considered before your project begins. Your designer will help by taking elevations to establish grade changes and existing drainage patterns, considering sun exposure and incorporating existing trees and shrubs. Do not forget about HOA restrictions when planning. Maintenance: It is important to keep in mind that no landscape can be completely maintenance free; however, some homeowners enjoy gardening more than others. The plant and other material selections you make for your landscape play a major role in the amount of upkeep that will be required. Investment Level: Setting an investment level that you are comfortable with is key to getting the most out of your planning time. Your investment level will help your designer determine if your project needs to be phased over time and which materials best suit your budget. In addition to design, DiSabatino Landscaping offers landscape maintenance, tree care, hardscape, masonry, outdoor structures and organic plant health. Call us today at (302) 764-0408 or visit us on the web at www.DiSabatinoInc.com to schedule a consultation.